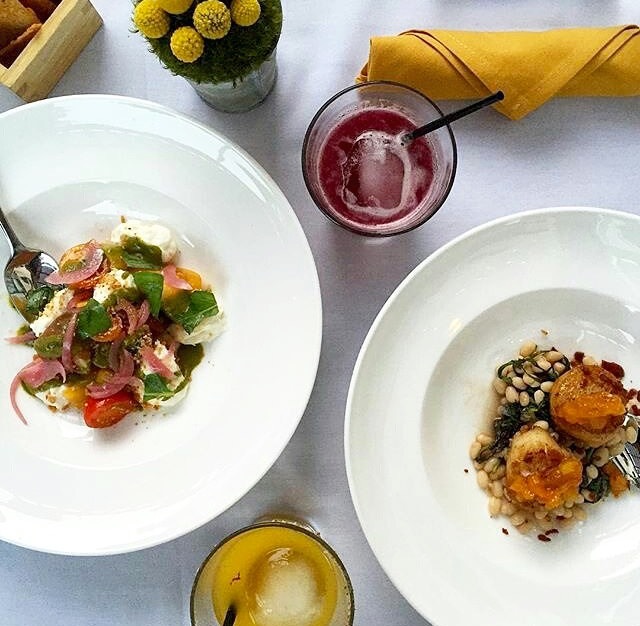 A new look and new flavors have unveiled at the Sofitel Los Angeles at Beverly Hills. Come for drinks in the two unique colorful enchanting spaces called “Le Jardin” and “The Aviary,” or stay for the new rising culinary star Executive Chef Victor Boroda’s French and California blended cuisines at Esterel Restaurant, where he uses locally sourced and organic ingredients. But of course, this is California! Estérel is a coastal region of Var and Alpes-Maritimes in Provence, France. The restaurant’s name is inspired by the fact that Estérel shares a similar landscape and terrain with the beautiful Southern California coast. In keeping with that concept, Estérel offers a splendid selection of fresh, seasonal cuisine, capturing the culinary soul of the Mediterranean. 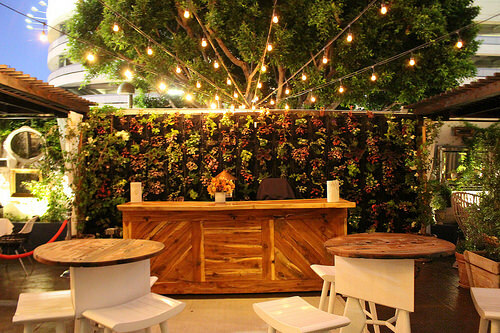 To start your dining experience, you can be escorted from the main valet through wrought iron gates and lush greenery into the refreshed floral garden patio at Riviera 31 Lounge Bar. Sip on cocktails created by Ferrari Watts, Riviera 31 Lounge Bar’s resident mixologist. Le Jardin, designed as a French garden patio, is an extension of Estérel Restaurant’s indoor space and features contemporary lighting and fountains, a Provençal inspired herb garden, colorful seating ideal for alfresco afternoon and evening dining, and an expansive driftwood bar with a“living wall” of plants backdrop. A flowered trellis serves as the ultimate dining experience for couples. We chose to dine in Le Jardin where we started our late dinner with a Charcuterie plate providing a nice sampling of cheeses complete with all the accoutrements, along with large fresh Pan Seared Scallops with a an underlaying bean sauce. 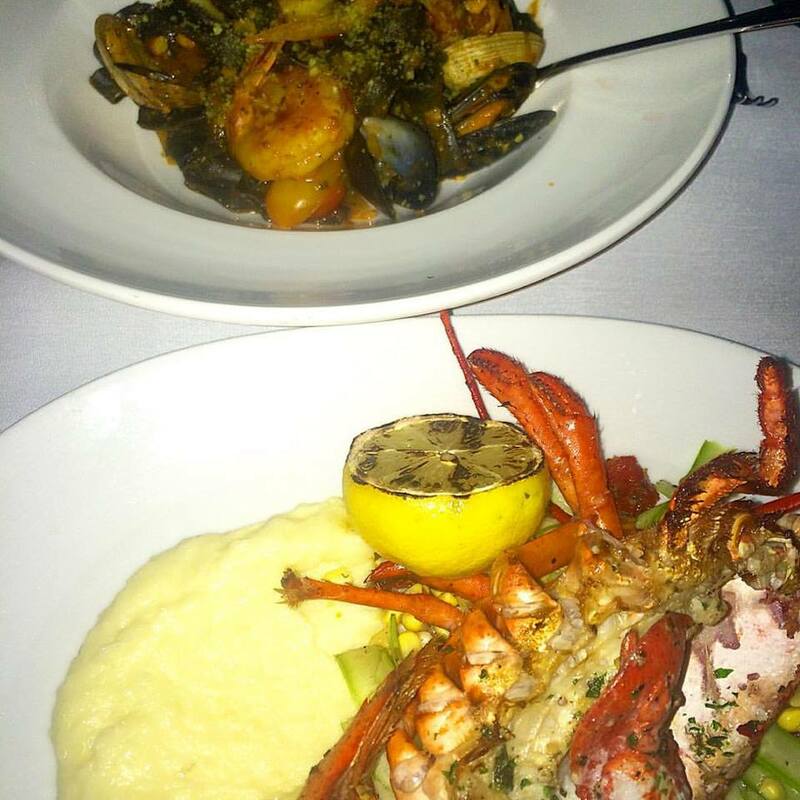 Our next course included a grilled Maine lobster carefully sliced and easy to enjoy as it rested on a creamy grits-like puree. My friend enjoyed the Squid Ink Tagliatelle hovering with mussels, clams, prawns, and saffron although the pasta does not compare to such establishments, like La Brea’s Jon and Vinny’s. We ordered the right amount of food without going home feeling sickly stuffed. Next time I would make sure to sample the mushroom flat bread, the French onion soup, and the Goddess or Frisee Aux Lardons salads. Inside Estérel Restaurant, rustic, wide plank mahogany floors lead guests toward mustard-colored semi-circle high-backed booths that frame the restaurant. 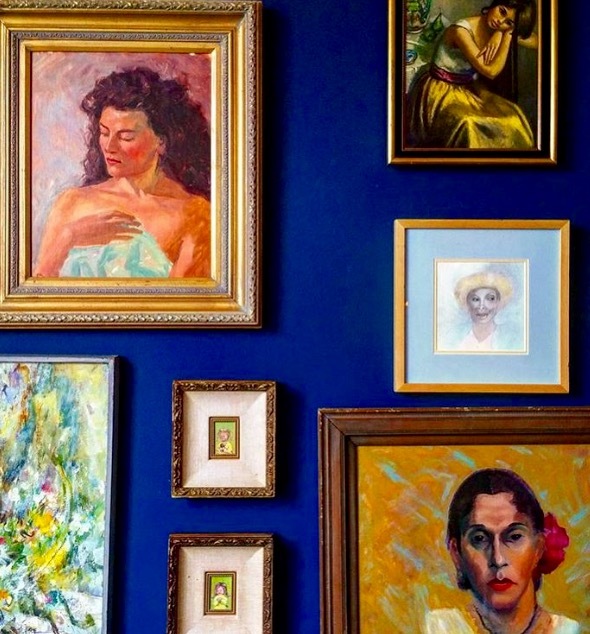 Deep blue walls are adorned with a collection of female portraits. Guests can even view the exhibition kitchen and watch food being prepared in the wood-burning oven. If you need a special space, two gorgeously outfitted private dining rooms overlook the main dining room with seating capacity for up to 15 people each, one of which is called “the chef’s table”, where groups can enjoy custom-prepared chef tasting menus presented by Executive Chef Boroda. Also, the Aviary, located within Estérel Restaurant, is ideal for private cocktail parties or sit-down dinners for 20 to 50 guests. Its unique environment includes bird cages that are beautifully suspended overhead, providing a conversation-starting environment where guests can dine under the sky and enjoy cocktails with access to their own private bar. See more photos of these unique spaces at Esterel from my previous visits.